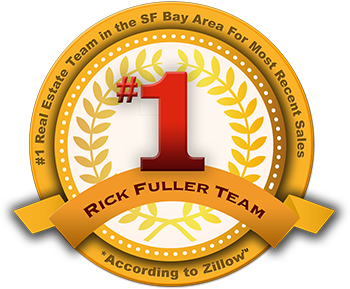 #1 Real Estate Agent In SF Bay Area for Most Recent Sales, According to Zillow. Over 500 FIVE STAR Reviews! Rick was born, raised, and resides in SF Bay Area; he has received numerous industry awards and has been invited to speak on various panels offering insight to the local Real Estate Market. "As your Realtor, it is my job to understand your needs and respond promptly, professionally, and with the utmost integrity. I utilize the latest technologies, market research, and business strategies to exceed your expectations. More importantly, I will listen and that means finding the right solutions that are tailored to you". I met my Beautiful Wife, Jennifer in 1997 and we were married in June of 2000. We had our first daughter in 2002, our second daughter in 2004 and yes, our third daughter in 2006. Our family loves the outdoors, traveling, and just spending time together. My wife home schools our daughters. Home schooling takes a lot of time and energy but the rewards are well worth it. Home schooling has enabled us to travel and let our girls experience nature and the history of our great Country first hand. Do you have a message for Rick Fuller? Contact him directly through this form.